This paper proposes a set of new Bayesian regression models to perform first order reliability method (FORM) calculations of repair cost exceedance probability. The models are classified in two categories, story-specific demand model and consequence models. The demand model developed in the form of linear equation predicts maximum acceleration and drift at each story of low-to mid-rise regular steel moment resisting frames. The consequence models are formulated as polynomial functions based on output provided by the upstream demand model and estimate repair cost of 30 building fragility groups. 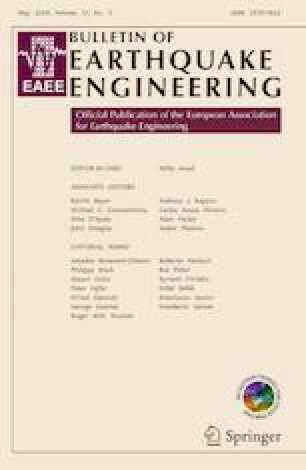 Next, the application of the proposed models in a first order reliability analysis to compute seismic loss probabilities for some example buildings is evaluated. The results are compared with those of a FEMA P-58 full simulation-based analysis and the computation reduction provided by utilization of the proposed regression models in the context of the FORM is assessed. Based on this finding, the practically appealing potential of the developed models is shown.